Any person who asks for naloxone from a pharmacy for themselves or to help a person experiencing an opioid overdose can purchase naloxone, with or without a prescription (click here for Missouri’s standing order). However, this does not necessarily mean that every pharmacy will stock naloxone so we suggest calling your local pharmacy to make sure they have it. Call to make sure the pharmacy stocks naloxone. At the pharmacy, go to the prescription drop off window and ask to speak with a pharmacist about naloxone. 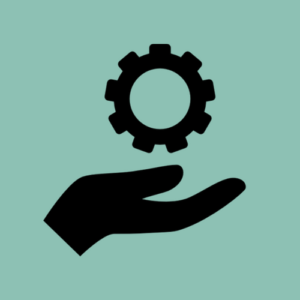 While every pharmacy has their own protocol, the pharmacist must provide overdose education (overdose risk factors, how to recognize and respond to an overdose, and how to use naloxone) when dispensing naloxone. The pharmacy may be able to bill your insurance, even without a prescription. While most insurances will cover at least some of the cost of naloxone, every insurance plan has different billing requirements. Your pharmacist can contact your insurance company to discuss any payment questions. 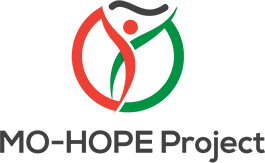 The MO-HOPE project offers training and tools, including naloxone, for overdose prevention and reversal to diverse professional and community audiences. If your agency is interested in receiving naloxone through the MO-HOPE project, please fill out the MO-HOPE Naloxone Request Form. *Please note, the MO-HOPE Project has a limited supply of naloxone and we may or may not be able to meet the request of each agency. 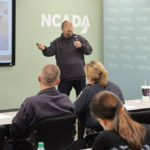 NCADA is a non-profit community health organization that provides individual assessments, treatment referrals, community awareness and other services aimed to reduce and prevent the harms of alcohol and other drug use. Call 314-962-3456 or send an e-mail request to info@ncada-stl.org to schedule a time to meet with a counselor for free naloxone (including a brief training on how to administer). 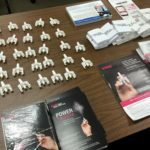 MONetwork is a non-profit outreach center located in St. Louis City that offers open-door harm reduction-based overdose education sessions weekly. Free naloxone is available upon request. Call 844-Rebel Up (844-732-3587) or send an email request to chad@monetwork.org to schedule an appointment (walk ins also welcome). For individuals with commercial insurance, kaléo’s new “Virtual Standing Order” program allows you to receive EVIZIO (a ready-to-use, automatic naloxone injection device, which gives electronic voice-guided, step-by-step instructions) without a prescription at no cost. Call 1-877-883-8946 to speak with a pharmacist and arrange delivery of naloxone directly to your home. Click here for more information. If you have a prescription, you can also receive EVIZIO at no cost through kaléo’s EVZIO2YOU program, which you can learn more about here. For federal and state government agencies and tribes, (including those agencies who receive federal grant funding to address the opioid overdose epidemic), kaléo offers a purchase price of of $180 per auto-injector of EVZIO ($360 per pack of two auto injectors and a trainer) when purchased directly from kaléo. Click here for more information.